Replacement blade for our No. 073 Large Shoulder Plane. Comes with a 25° flat ground bevel. The blade comes with a 25° flat ground bevel; it sits in the tool at 18°, making the included cutting angle 43°. 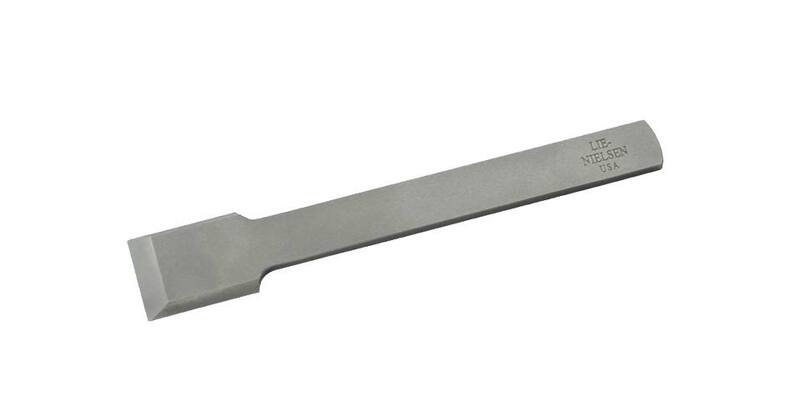 Made from A2 Tool Steel, cryogenically treated, hardened to Rockwell 60-62 and double tempered. Our heat treating technique ensures that the blade will take and hold a very fine edge for a long time. After heat treating, the blade is fully surface ground on the top, back, and cutting edge, giving a smooth, flat surface that will take a mirror finish very quickly.